#Oshiomhole Is Back And Kicking: “I Fought The Military With Guns In Their Barracks, No Civilian Will Intimidate Me. Marie Sana November 11, 2018 Government and politics No Comments on #Oshiomhole Is Back And Kicking: “I Fought The Military With Guns In Their Barracks, No Civilian Will Intimidate Me. 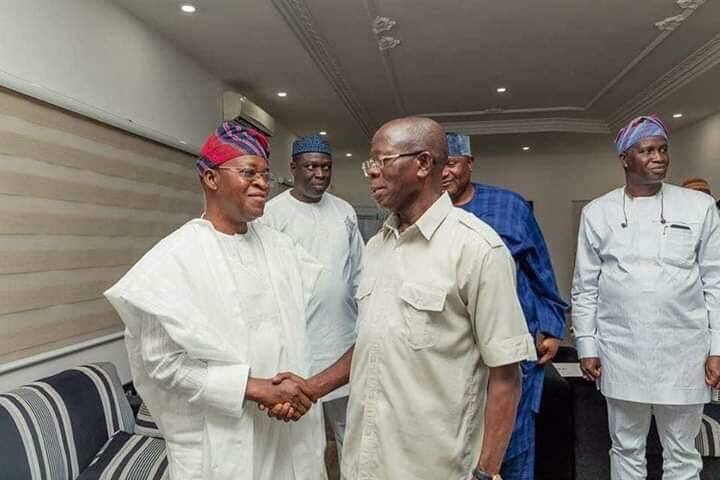 #Oshiomhole Is Back And Kicking: I have never gone to President Buhari to ask him to help me fight any Governor, I went there to brief him on party affairs. I've fought the military in uniform with guns in their hands, right inside their barracks, I have fought the fiercest juntas in our history without running to exile, so who are those privileged opportunistic civilians who can intimidate me? My name is Adams Oshiomhole, I did not make that name from being a Governor or Chairman, go and do your research. I made that name fighting for the oppressed Nigerians, it is a name that connotes perseverance and ruggedness.